Telko S003M IR motion detector, 3-Radio Shack 49425 Motion Detector, 2- Copper Dowsing rods, Uniden 1400 FRS radio, Cobra PR 155 VP 2-Way Radio 2-Motorola Talkabout 5950 Two Way FRS Radio, 2-Cobra Cleartalk FRS radio, 2-Uniden FRS radio, 2-Bellsouth FRS radio, 2-Cobra Cleartalk FRS radios, 2-Bell South 18 channel 2 way FRS radio, 2-Uniden TR620 FRS radio, 2-Motorola Talkabout® FV200R two-way radio. This was SJGR's first visit to this private home in Forked River, New Jersey after the home's residents contacted us with reports of audio phenomena, movement of objects, seeing apparitions, and difficulty with electronic appliances. The physical evidence collected consisted of 5 EVPs, some of which appear to interact with investigators and their questions, and 23 positive photos with anomalies in them. Nearly 8.5% of the positive photos obtained falls above what is expected for the location, but most of the photos were taken at random. There were four anomalous EMF readings, but no anomalous motion sensor or temperature readings were obtained during the investigation. 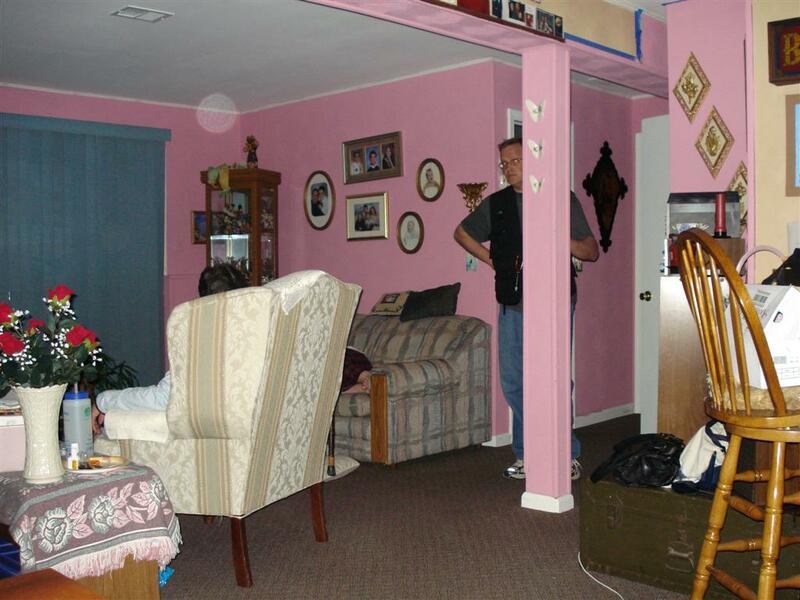 12:04am - Investigator Bown took this photo at random in the Living Room. 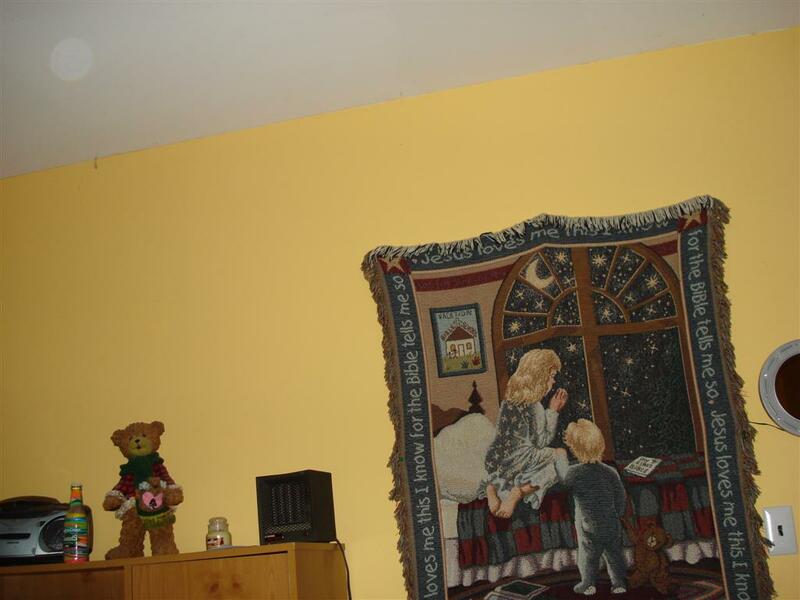 12:41am - Investigator Bown took this photo at random in the bedroom.